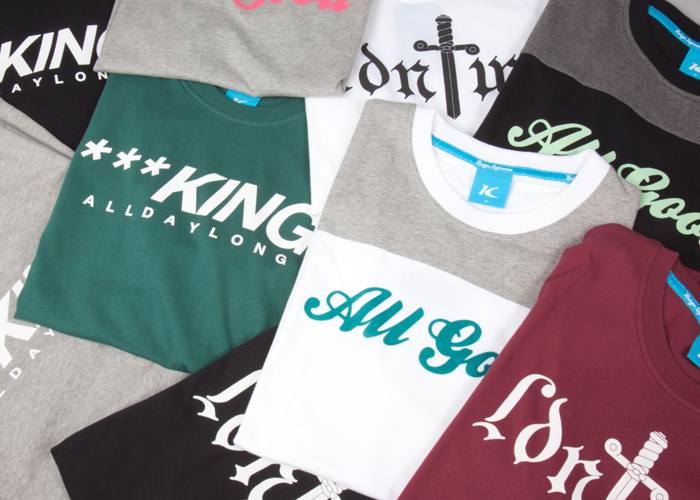 Bastions of British streetwear King Apparel introduce their first offering for Spring/Summer 2014, made up from a selection of T-shirts, sweats and headwear. 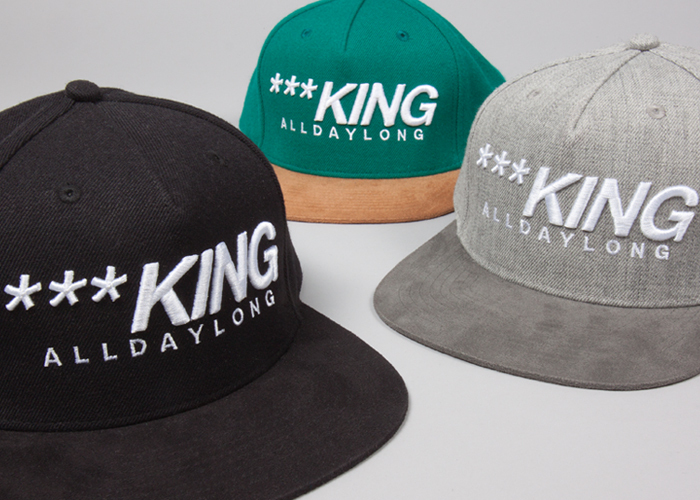 Three completely new ranges form the first drop for Spring, freshening things up with new styles and designs. 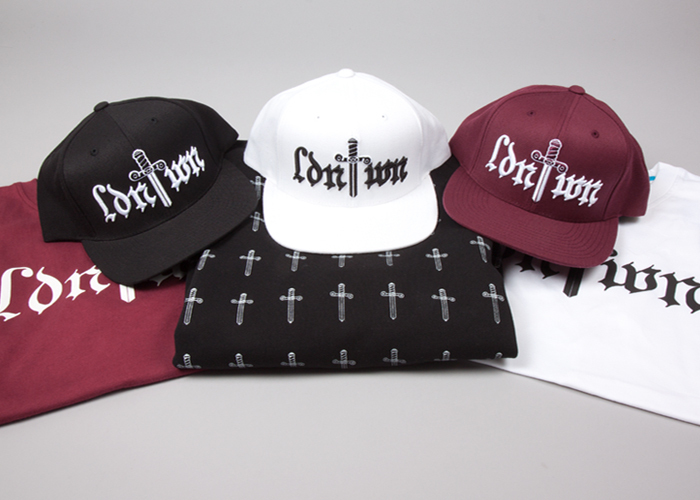 The ‘LDNTWN’ range plays on historic London with old english lettering and a dagger motif used throughout. It presents as a repeating pattern on black and burgundy crewneck sweatshirts as well as the LDNTWN logo on T-shirts and caps. The ‘All Day Long’ and ‘All Good’ ranges add a little colour into the mix with dark green, jade, mint and red elements alongside staple blacks and greys. 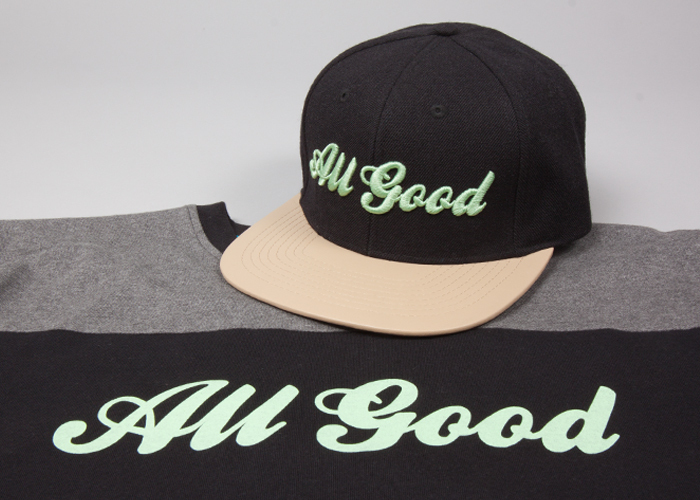 Both utilise text based graphics on tees and caps, with the suede-brimmed All Day Long snapbacks standing out as highlights. 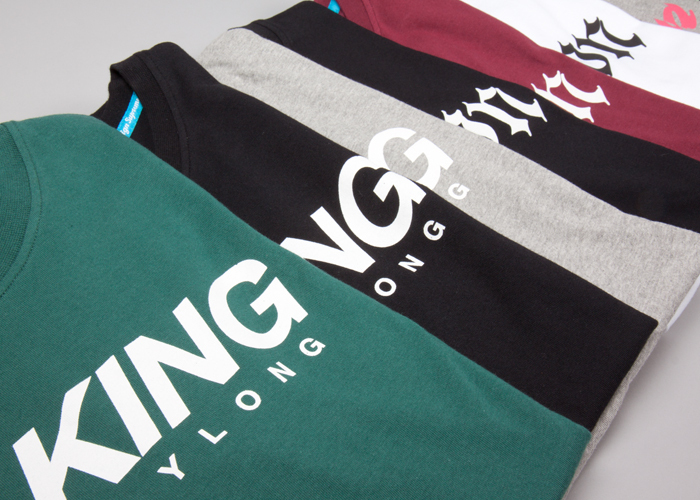 All three ranges are available from select stockists and from King Apparel online now. Look for the second drop to follow in the coming weeks. Quality looks sick, too bad they’re all dead garms from a dead brand. Ah, ‘ballpark weiner’, the king of free fonts. The quality of the t-shirts is actually pretty bad. The neck loses all elasticity after a few washes and goes baggy and wrinkled. Oh my god, so dry.